Entebbe - Available as a download or stream? 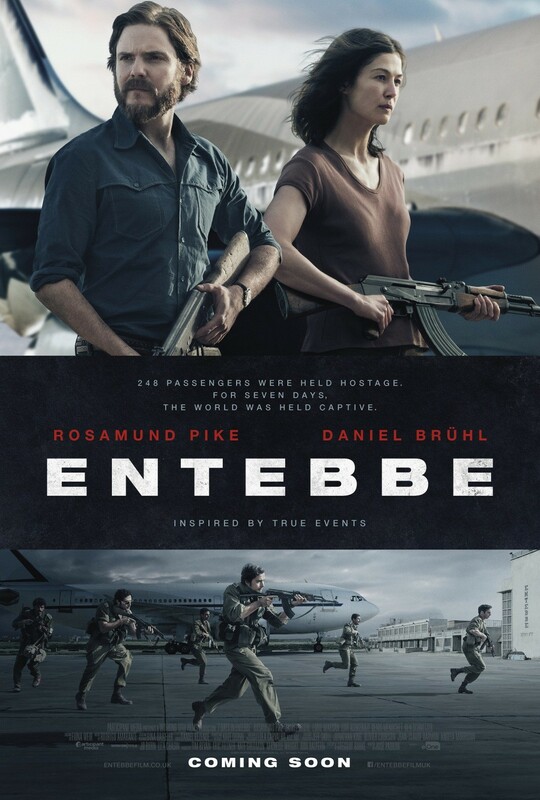 The second English language feature from Brazilian director José Padilha, “Entebbe” ( or “7 Days in Entebbe”), recalls the real-life events of the 1976 hijacking of an Air France plane. More than half the passengers aboard were set free once the plane had landed in Uganda, however the entire flight crew and ninety-four Jewish people aboard were taken hostage in an attempt to negotiate the release of dozens of Palestinian prisoners being held in Israel. The hijackers would receive aid from Ugandan soldiers, while Israel plotted their counter-terrorism mission now known as ‘Operation Entebbe’. The tragic events which followed would result in the deaths of more than fifty people. Slated for a theatrical release in March of 2018, the lead roles are portrayed by Rosamund Pike, and Daniel Brühl.